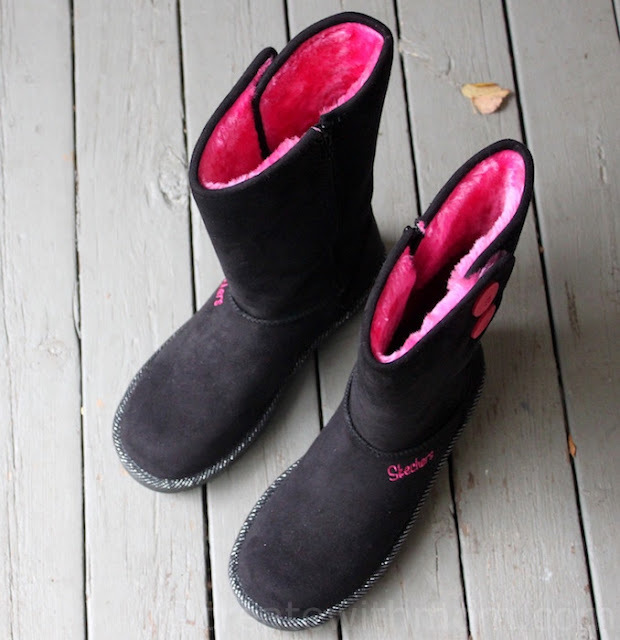 My daughter chose the Skechers Toasty Toes GlamSlam Button Beauties that has a soft suede black exterior with bright pink buttons on one side, and a full length zipper on the other side that comes up to the height of the mid calf. It has raised stitched seam detail on the sides and the front, and an embroidered Skechers logo detail. 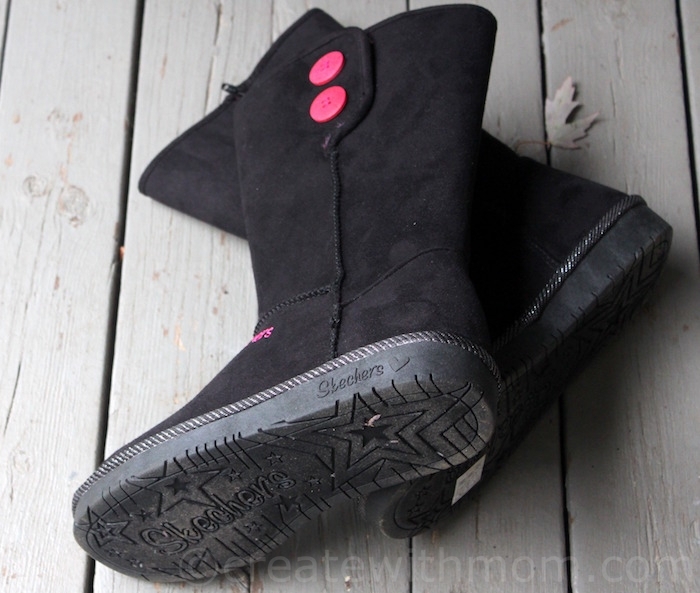 These boots have flexible rubber traction outsoles and 2/3 inch heel. The inside has faux bright pink fur. My daughter likes that the boots are cozy, and are stylish. These casual, zip up cool weather boots are also available in chestnut. I chose the Skechers Adventure Reggae Steady boots. 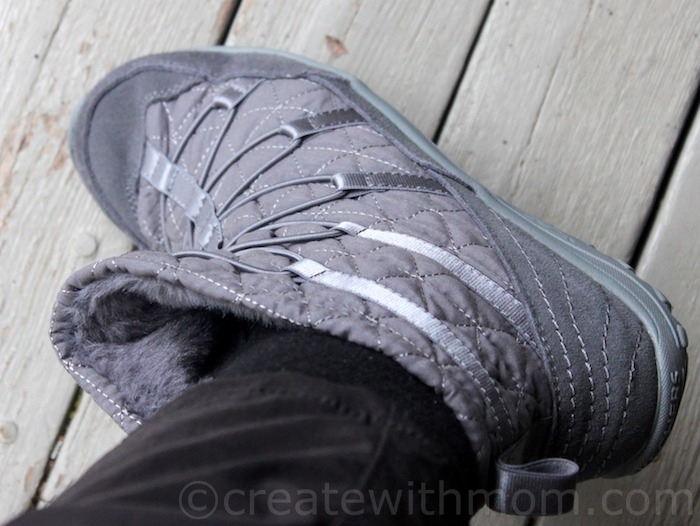 I love the ease of slipping it on; no laces to tie or zippers to pull! The exterior, with the soft suede and soft jersey fabric has a quilt stitching detail and bungee stretch laced front panel, just for style. 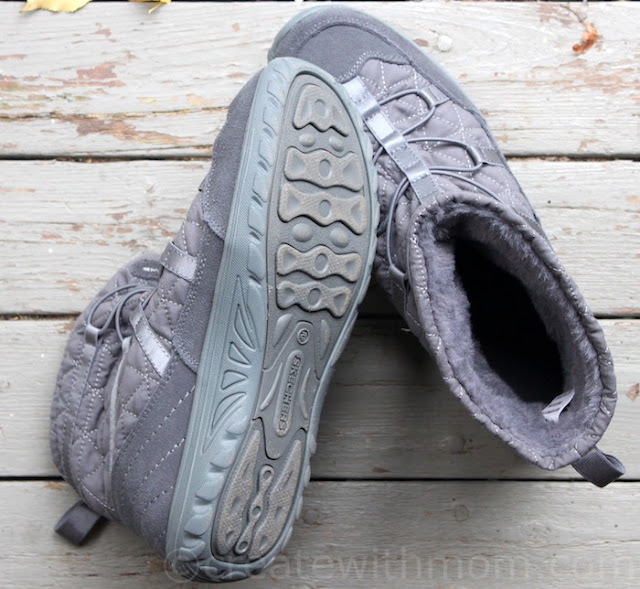 The interior has soft plush chenille fabric shoe lining, which is really soft. These boots are relaxed fit, perfect for wearing for long periods of time. I find these boots truly relaxing and roomy. I really like how they don't look or feel bulky! These boots look simple, and they are lightweight. It comes up to the ankle perfect for casual comfort. It has a low heel, and flexible rubber traction outsoles, which are good for day-to-day use. It is waterproof, which makes it perfect for winter conditions. I like the range of colours that these boots are available in, such as this charcoal or grey, as well as black, chocolate, black/white, navy, and raspberry. The women's and girls' boots at Skechers are stylish, and functional to wear all winter long. My wife is a huge fan of Sketchers shoes so I know she would love these stylish boots. Thanks for the post! They look comfy! 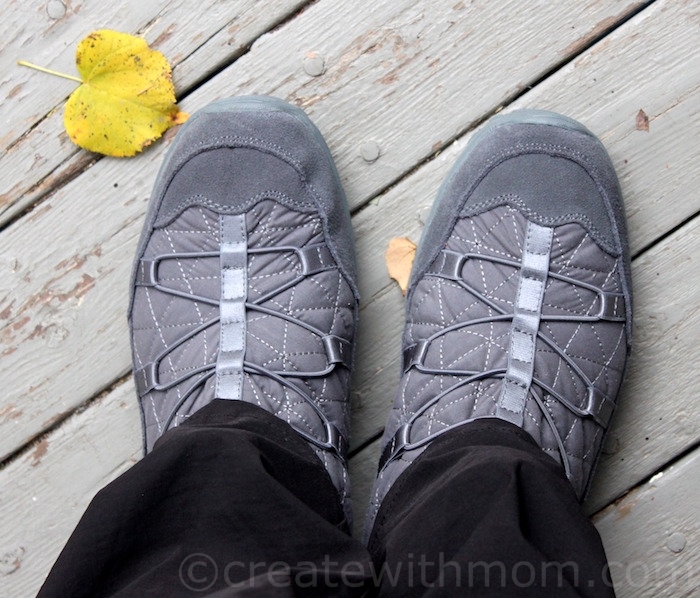 I love Skechers boots and shoes, they carry a wide variety of stylish and exceptionally comfortable lines! I must get around to trying Skechers, my son swears by them and these certainly look nice and comfy. The boots look very comfortable. I do have sketchers shoes that I like. Sketchers are so darn popular, but I have yet to own a pair. Crazy. So many great looks from Sketchers! Those are cute boots! The Skechers Adventure Reggae Steady boots would be perfect for me to as I don't like laces any more.I have a few pairs of Skechers shoes that I love. I wear Skechers shoes at work and they are so comfortable but I have never had Skechers boots. I own many pairs of Skechers! Comfortable and stylish shoes and boots are a must! I really like the Skechers Adventure Reggae Steady boots.You made a fantastic good choice.They are great looking!